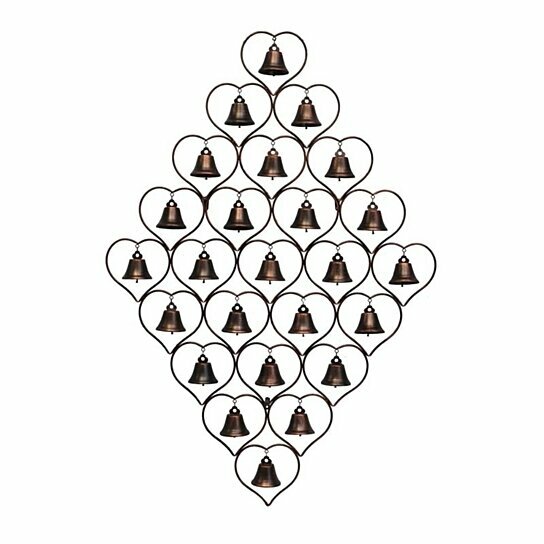 This heart-framed decor with bells all over is sure to fascinate you in no time. Made from good quality metal, it will stay in prim condition for years. This metal decor is washed in copper, which will suit all home interiors. This decor can be fixed on any wall of your choice. If you have a plain wide wall, this decor will look adorable on it. You can also fix it on any door of your choice. Goes perfect with all decor.